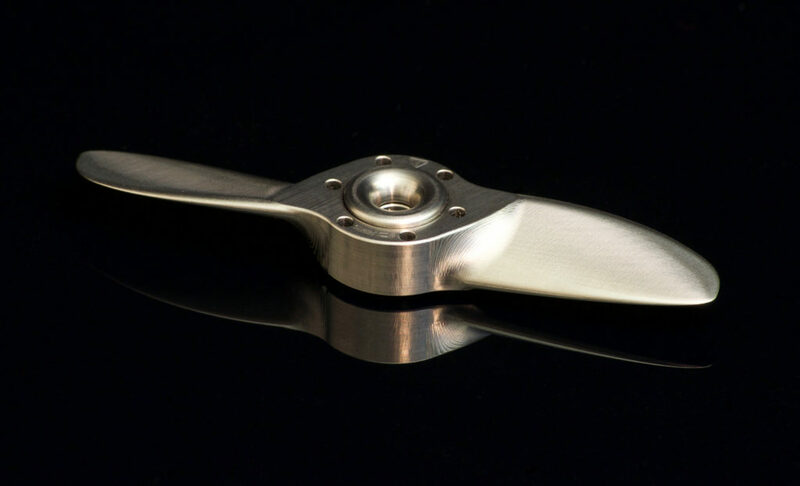 ​An artist's take on one of Aviation's oldest allies," the Collector's Replica Propeller is CNC Machined from a Billet Block of 6AL-4V (Grade 5) Titanium. 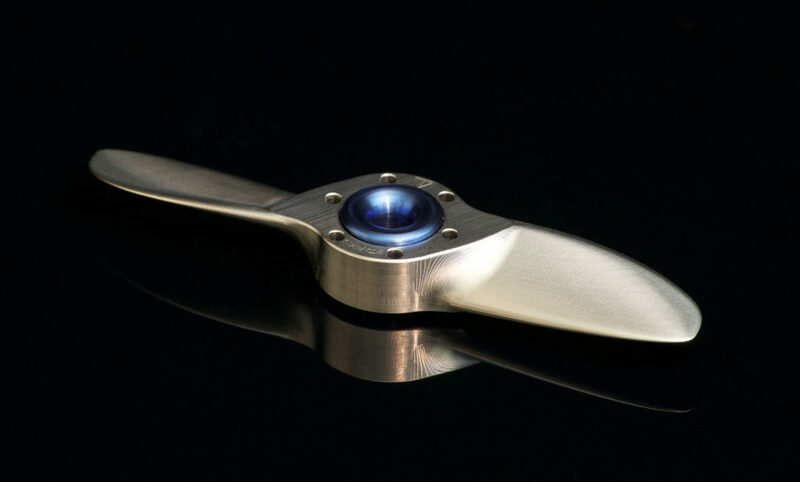 Each piece is made to order by myself here in America, and not mass produced. 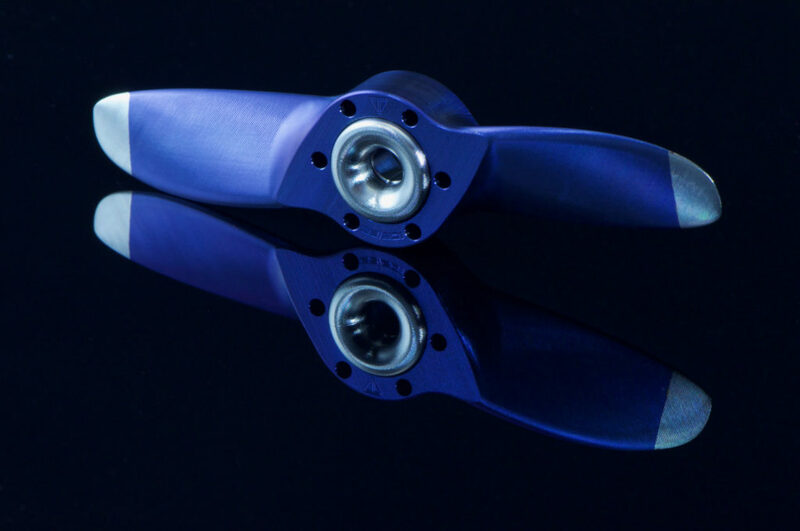 The Collector's Replica Propeller is an art piece that is designed with detail, precision, and perfection in mind. 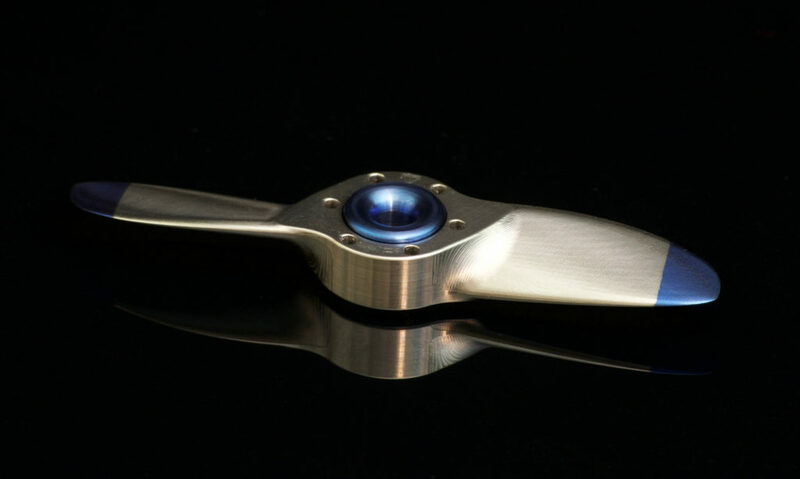 Advanced machine tool-pathing techniques leave a beautifully sculpted surface finished by micro tooling that allows the titanium's lustrous colors to reflect light unlike any other method. 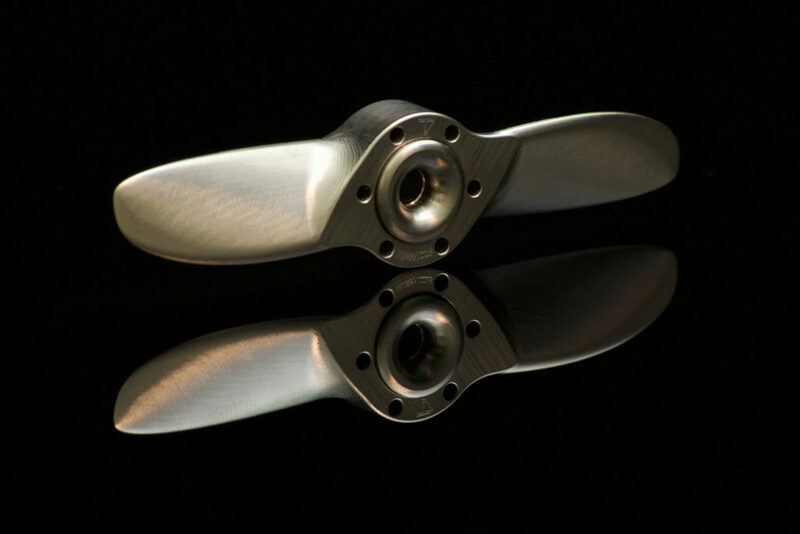 Each of the three versions of the Collector's Replica Propeller will be exclusive to 25 pieces and individually serial numbered. The first series will be standard machine finish only and the second series will have blue anodized blade tips, while the third is a body colored reversal of the blue-tipped series, with contrasting uncolored tips. 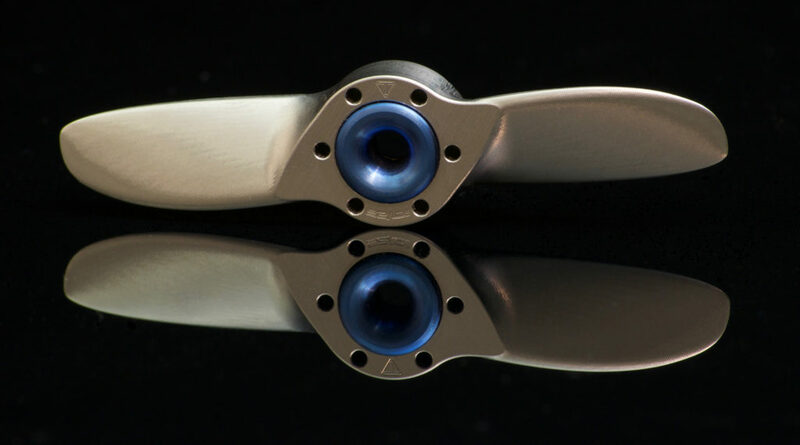 All series have plain machine finish buttons standard, with optional upgrade to blue anodized buttons. 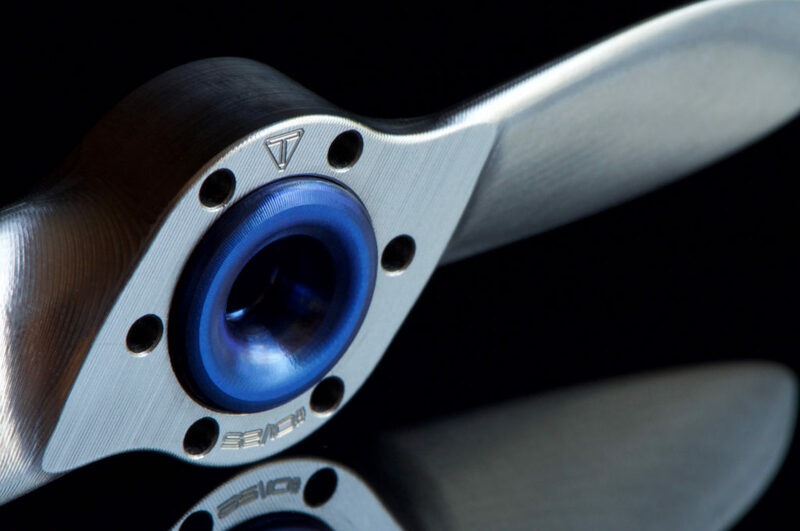 Serial numbers will be first come, first serve. 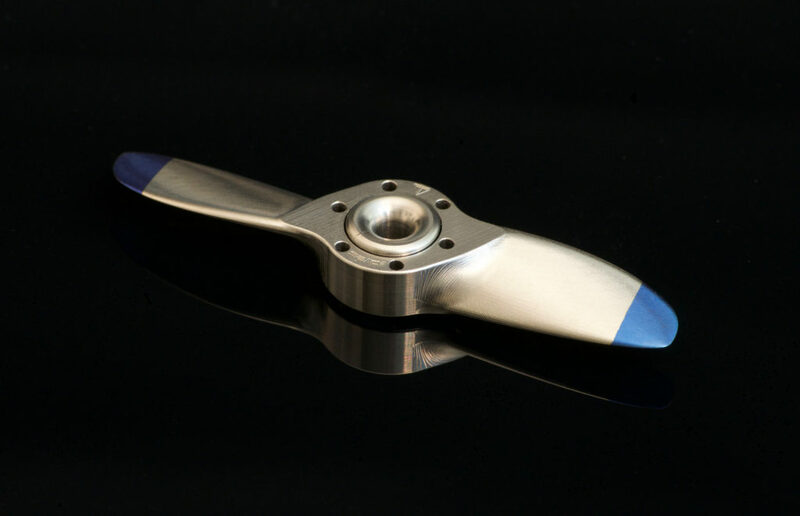 ​OD: 3.200", Thickness: .3125", Hub OD: .750", Hub ID: .500"